LeftLaneNews just posted pictures of the new Corvette Stingray concept which will have a staring roll in the upcoming Transformers movie. 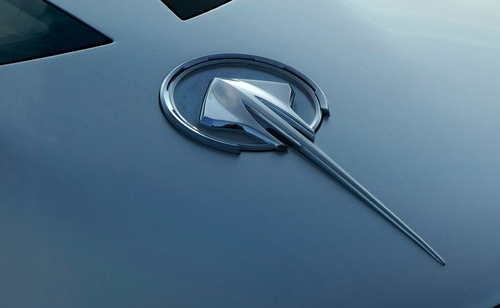 I’m really digging the badge design of a stylized stingray. It really grabs some of the “streamlining” romance of a past era, but with a modern edge….much like the Corvette itself. This entry was posted on Wednesday, February 11th, 2009 at 11:49 amand is filed under . You can follow any responses to this entry through the RSS 2.0 feed. Both comments and pings are currently closed.